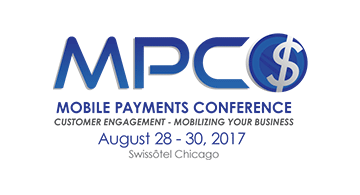 The 2017 Mobile Payments Conference will be held at the Swissotel Chicago, IL, August 28 – August 30, 2017. This year’s agenda will provide attendees with the necessary guidance to navigate a landscape in constant flux. Keynote presentations and breakout sessions will address the many new mobile commerce platforms, services, solutions, and standards that impact every facet of this exploding market. For Retailers, Financial Institutions, ISO, Merchant Services and Vendors, the 2017 Mobile Payments Conference is the must-attend event for industry exposure, business development, market intelligence, and networking!